This badge was issued to Mohanlal Ghisaram on 17 Apr 2018. 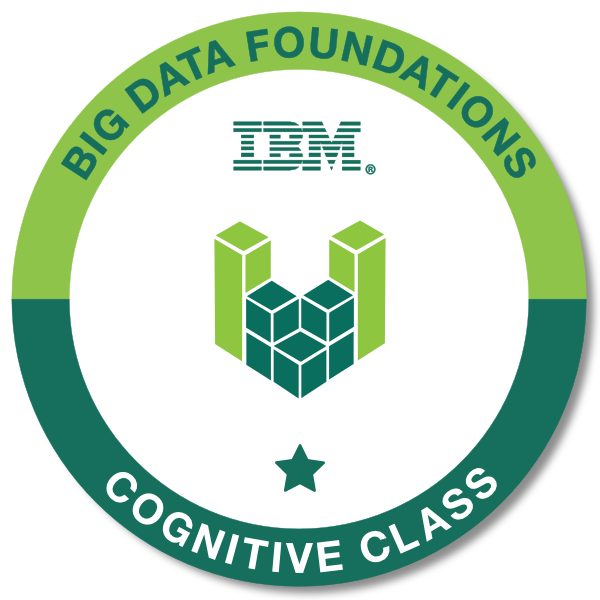 This badge earner has a basic understanding of Big Data concepts and their applications to gain insight for providing better service to customers. The earner understands that Big Data should be processed in a platform that can handle the variety, velocity, and the volume of data by using components that require integration and data governance.